CHARLOTTE – Boston’s frontcourt will have to take a next-man-up mentality to the extreme Saturday night, as it will take on the Charlotte Hornets without two of its main bigs. 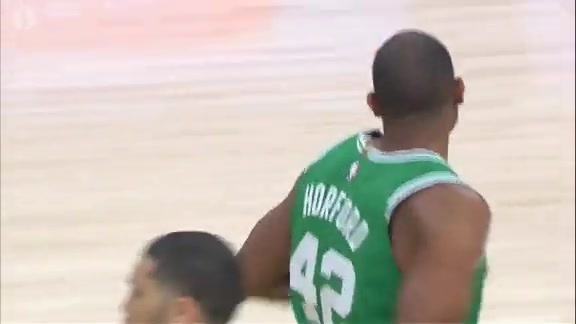 Al Horford will be sidelined with left knee soreness and Aron Baynes will be out due to a left ankle sprain, leaving the Celtics very shorthanded in the low post. Those three bigs that the Celtics will be counting upon are second-year forwards Daniel Theis and Guerschon Yabusele, along with rookie forward Robert Williams. Of those three, Theis is the only one who has seen regular minutes lately. He’s played in 19 of Boston’s last 20 games, averaging 5.1 points and 2.4 rebounds per game, while shooting 57.6 percent from the field and 47.4 percent from 3-point range over an average of 11.9 minutes of action. The other two have played far more sporadically lately. Yabusele has played in just five of the Celtics’ last 20 games, totally less than 20 total minutes during that span. Williams, meanwhile, has seen action in just seven of the last 29 games, averaging 6.8 minutes per game during that span. The Celtics will also be without Gordon Hayward, who is will miss his second straight game as he continues to progress through the NBA’s concussion protocol. Though regardless of all of the injuries, the approach will remain the same for the Celtics. Fortunately, the Celtics shouldn’t be without Baynes, Hayward or Horford much longer. All three could play as soon as Sunday night back home in Boston, where the C’s will host the San Antonio Spurs. Until then, Theis, Williams and Yabusele, among others, will all have to step up and fill the massive voids they'll face in Charlotte.